Heading into the 2018 Major League Baseball season, there will be a half-dozen new managers patrolling dugouts. We see some pretty high-profile teams here, including the Mets, Red Sox and Yankees. We also see some pretty good teams that weren't that far off and are looking for the new manager to give the team a little extra push. As we have seen around the league, new managers can have a lot of success. We see young managers in dugouts for the biggest games, as opposed to the old days where you'd only see old-timer managers in the big spots. Last season's World Series featured two managers in their forties, with AJ Hinch and Dave Roberts getting their teams far after not much time at the helm. These half-dozen teams look for similar results this season and beyond. Let's take a look at all the managerial changes in Major League Baseball heading into the 2018 season. Aaron Boone, New York Yankees: The Yanks are one team that doesn't turn over managers willy-nilly, with Boone only the third different Yankees manager since 1996. Following a decade with Joe Girardi at the top, Boone inherits an up-and-coming Yankees team that won 91 games last season and added even more pop in the offseason. Forever endeared by Yankees fans for his 12th inning game-winning homer in game 7 of the 2003 ALCS, Boone has high expectations, but might have the firepower to pull it off. From a deep baseball family where his grandfather, father, and brother all had good careers, Boone is a pure baseball guy. The 44-year old one-time all-star has spent all of his time since retiring as a baseball analyst. This is his first job in coaching on any level and it's as big-time as it gets. We'll see if it pays off. Mickey Callaway, New York Mets: Callaway takes over for Terry Collins after the Mets slipped to a 70-92 season in 2017. Callaway is a first-time MLB manager, coming off a coaching stint with the Indians, where he gets a lot of credit for turning around some pitchers. A former right-handed pitcher himself who had a brief big-league career from 1999-2004 with the Rays, Rangers, Angels, Callaway is just 42 and will be under the bright lights for his first managerial gig. Alex Cora, Boston Red Sox: Cora takes over for the departed John Farrell and inherits a good situation with the defending AL East champions Red Sox. They won 93 games last season, but Cora also inherits high standards, with the expectations being a deep playoff run. Cora is also 42, one of several younger hires on this list. As a player, Cora played on two World Series-winning teams for the Red Sox. After retiring in 2011 after a 14-year career, Cora worked at ESPN as an analyst, before becoming the bench coach for the World Champion Astros last season. That led to his earning this high-profile managerial gig—his first job as a manager. Ron Gardenhire, Detroit Tigers: Veteran manager Gardenhire takes over the Tigers, with the departure of former manager Brad Ausmus. He returns to a division where he was Twins manager for 13 seasons, with a combined record above .500. That was three years ago and he looks to get the Tigers back on the right track. Last season, the Tigers lost 98 games and look to return to the prominence that they had a short time ago, before their recent fall from grace. Gardenhire is a good baseball man, a former catcher who had a brief MLB career in the early-eighties before turning to coaching. At 60, he now looks to make another run with the Tigers. Gabe Kapler, Philadelphia Phillies: Another young-ish managerial hire, Kapler is just 42, following a solid MLB career that ended in 2010. Since then, he has worked with the Israeli national team, served as an analyst, and spent the last few seasons as the Dodgers' director of player development. He takes over for Pete Mackanin in his first managerial gig. A finalist a few years back for the Dodgers' managerial gig with David Roberts, Kapler inherits a Phillies team that labored to a 66-96 finish in 2017, but a team replete with prospects where Kapler will be able to leave his imprint. Dave Martinez, Washington Nationals: Another new manager who comes into a pretty good situation, Martinez takes over for Dusty Baker after a long run as a big-league coach and player. It's his first managerial gig and he takes over a 97-win team that won the NL East last season. A pretty useful player in the bigs, Martinez played 16 seasons with 9 teams, before turning to coaching. As a coach, he spent 7 seasons with the Rays, before spending the last three seasons with the Cubs, last serving as bench coach to Joe Maddon. Bovada Sportsbook - Your credit card WILL work here! Deposit from $100-$500 and get a massive 50% sign-up bonus! 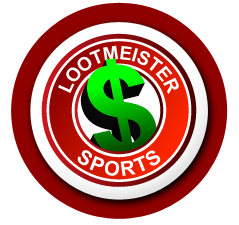 A huge wagering menu, fast payouts and top notch customer service is what you'll find at one of the web's biggest baseball bookies! GTBets - Offers a 100% initial signup bonus! Deposit $150 and receive a matching $150 bonus! A great way to pad your bankroll before even placing your 1st bet! Great at getting credit cards to work for deposits! World Series Odds - See which teams the bookies are predicting to win the Fall Classic this year and what odds are being offered for your pick to win it all. How to Calculate ERA - Loot explains what earned run average is and how to compute this often misunderstood statistic. How to Calculate Batting Average - The stat that all hitters are judged by! We break down the division of hits by at bats. What is Baseball WHIP? - The walks plus hits divided by innings pitch stat is a huge variable when handicapping baseball games. But what is a good WHIP? What's a bad WHIP? Loot explains! Infield Fly Rule Explained - Surely one of the most confusing rules in baseball but yet so simple. Baseball Slang - There are TONS of terms, lingo and jargon that you'll hear during a baseball game that would make absolutely no sense unless you grew up with the game or had done your homework. We define them all here! Baseball Acronyms - A MLB box score is absolutely jam-packed with abbreviations. Get educated here as we define them all! We also added in MLB team abbreviations as well. Baseball Questions - The sport has tons of terminology, jargon and statistics which create many questions. We answer them here! MLB Managerial Changes - In today's world, if a Manager doesn't cut it, they get canned quick. Check out the list of this year's new baseball Skippers. Baseball Quotes - Famous sayings from popular MLB players, annnouncers and managers. Greatest Baseball Players of All Time - My picks for the all-time best first basemen, second basemen, shortstops, third basemen, left fielders, center fielders, right fielders, right handed pitchers, left handed pitchers and closers. Famous Baseball Players - There's greats and then there's famous players. The difference is that famous MLB players are names that even non-baseball fans are familiar with; Diamond Kings! Triple Crown Winners - List of players who have led the MLB in batting average, homers and RBI's all in the same season.